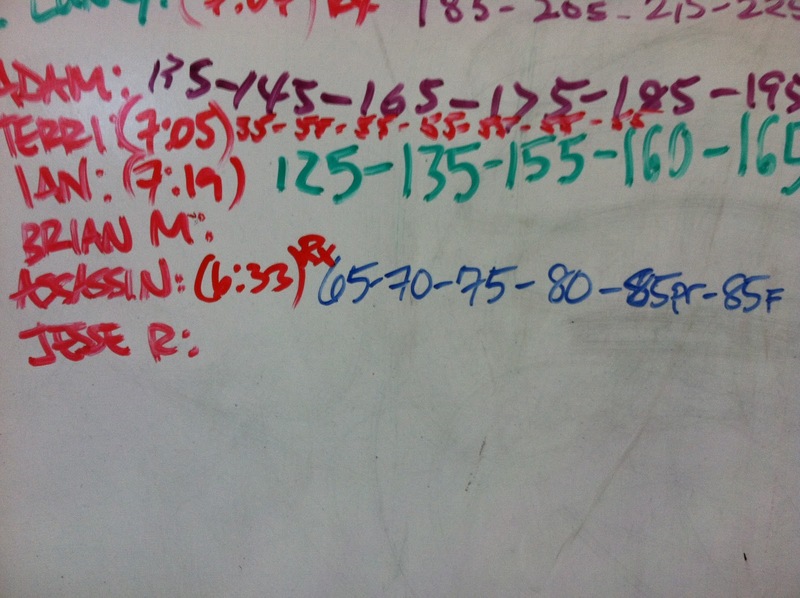 New PR!!! Yay! It isn't by much, 5#s. 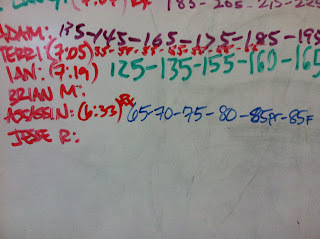 I was able to make it to 7AM class and was under the eye of Coach G. She let me know that I'm not keeping the bar close enough to me, and that I'm not getting fully extended at the top of the shrug. To me that means if I work on my technique I could essentially clean way more weight, cause 85#s didn't feel heavy. At all. My jerk, G also said that I'm dipping forward, vs down. My finishing position at 85# felt good and solid, even with this technical mistake. Which again leads me to believe that I could potentially lift more weight over my head than 85#s, keeping those cues in mind. Thennnnnnn, I killed my former 74 consecutive double unders PR out of the water by doing 87 in a row during the 2nd part of the WOD. I couldn't believe it was happening when it was happening. I was happy. I was also glad to only incur 4 misses out of 200 DUs. What a great day at the box!